These businesses started at Square One Kitchens and became Fargo-famous! Check out these inspiring stories, then contact us today to start yours! Seth and Haylee swung into Square One in the fall of 2015 to get their business, Power Plate Meals, underway. Immediately after meeting them I knew these two were not only onto something big, but had the mustard and gumption to make it happen! They started offering healthy, convenient and well balanced meals for purchase online or locally with pick ups at Square One Kitchens. They were SO busy! There were days where I left work and returned the next morning to find them still there. Talk about dedicated! By utilizing the kitchen at Square One they were able to gauge how receptive the area was to their business model and get a feel for what it would take to produce their products on a larger scale. Their first month operating Power Plate Meals was January of 2016. On February 8th a fire destroyed nearly everything inside of Square One and their business was placed in a difficult situation. Before the fire they had talked about opening their own location as they were finding such great success with what they were offering. So, after a couple months of dedicated hard work they opened up their own location in West Fargo in the Pioneer Center. Now they can operate daily so folks can swing by to pick up meals or order online as well. 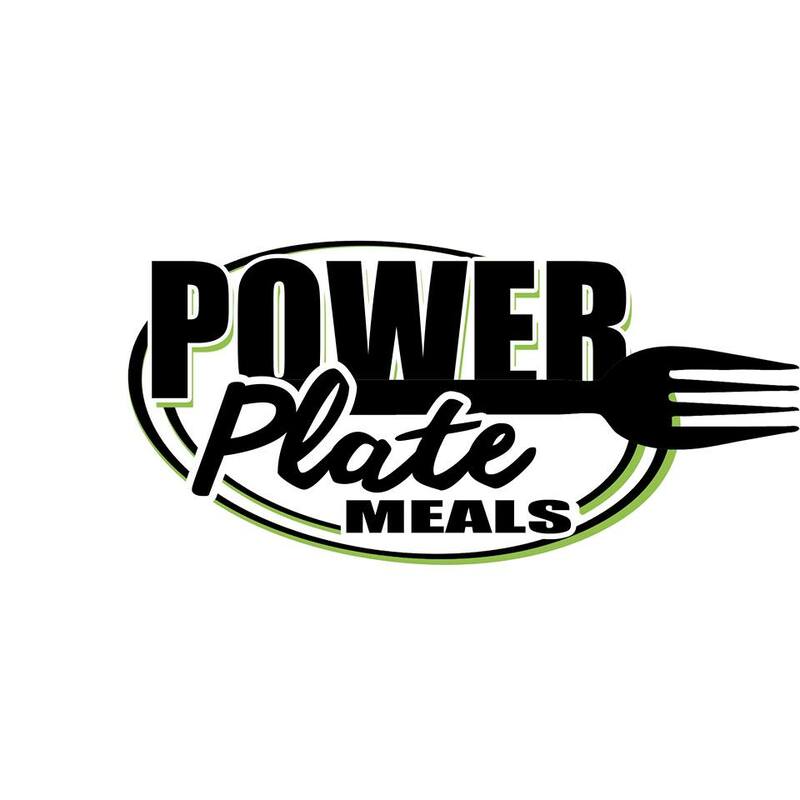 It was a pleasure getting to know the Power Plate Meals crew and we wish them nothing but the best! Darrell and Celena Randle started at Square One back in fall of 2016 with a vision of bringing the food that they grew up with, influenced by family recipes and traditions, to the FM Area. They wanted to bring soul food from the south up to the north along with West Indian cuisines to spice things up a bit! Soul food is just that. It’s food for the soul. The couple lovingly created their business name from the first letter of each of their children’s names. Daran’s started out of Square One by offering limited menus on a near weekly basis for take out from Square One’s seating area. Square One provided the opportunity to test out their product and generate a following for Daran’s before making the risky jump into their own venture. Soul food is just that. It’s food for the soul. As their following grew and rave reviews rolled in this hardworking and dedicated couple knew they were on to something. From there they started laying the groundwork for their ultimate dream – owning their own restaurant featuring soul food and West Indian cuisine. In the late fall of 2017 their dream came true. Great food, home cooked in a way that truly satisfies your soul and warms your heart. Now located at 30 N University Drive, just a couple blocks from were they started and so handy when I need a fix of satisfying, real food! Congratulations and best wishes as you live your dream and create your special somewhere. Square One is happy to have been a part of it and Casey especially enjoyed getting to know the Randle family and their wonderful kids for which they are building this restaurant for. I met Jen when Square One first started. Like myself she had been utilizing a commercial kitchen in their off hours to start up her then primarily bread based baking business. The Italian Herb Cheese Bread may be what started it all but Jen’s has grown so much since then, offering a whole range of various baked goods and pastries. Jen made the switch to Square One so that she could operate at more convenient hours based off her own schedule and have room for growth. Over the years it has been a pleasure seeing Jen’s business grow, getting to know Jen and getting to know her family as well. You can see how proud her family is and how supportive they have been as she has grown this baking business from the ground up. As her jumbo cookies started filling up local coffee shops, Pride of Dakota Shows were booming and the demand for her various products increased it was time for Jen’s Bakery to take off! 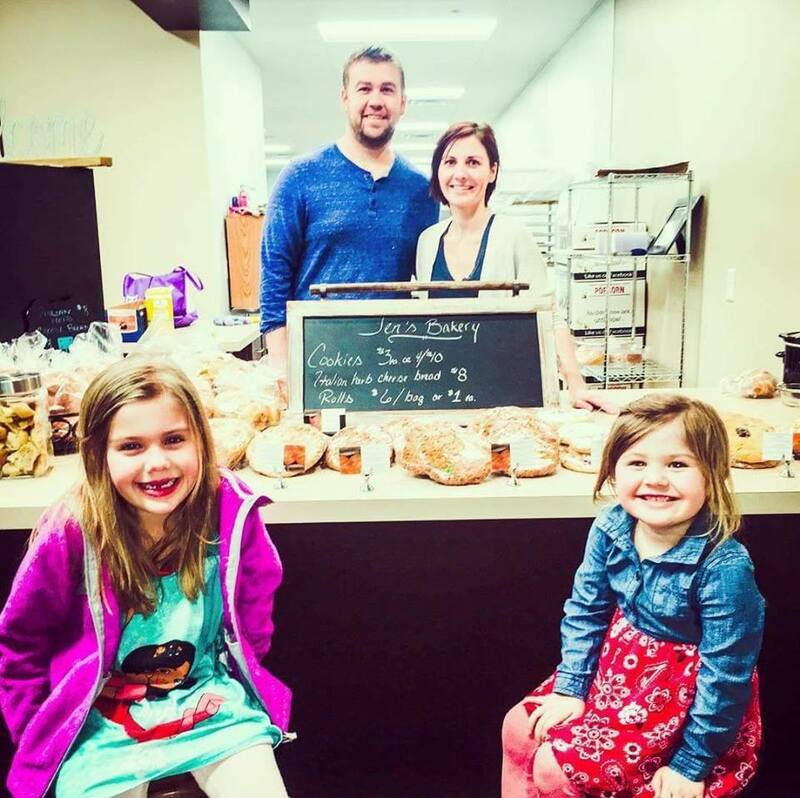 With the help of her friend Travis and his management experience in the restaurant industry they were able to make the move into their own retail space located at 5050 Timber Parkway South in Fargo. The name switched from Jen’s Breads to Jen’s Bakery as the products offered have expanded and I look forward to seeing where this business will grow from here! Square One enjoyed being a part of Jen’s transition to their own retail location and seeing another success story hit the FM Area! It was time for Jen’s Bakery to take off!